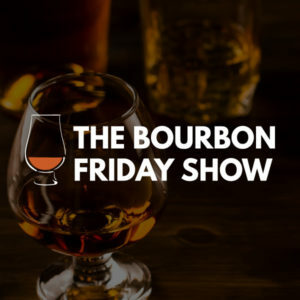 On this episode of the Bourbon Friday Show we had the opportunity to talk with Karlos Ramirez, President and CEO of the Hispanic Chamber of Commerce of Metropolitan St. Louis. We're live at Covo STL for The Bourbon Friday Show.Today, we're interviewing Karlos Ramirez, President & CEO of the Hispanic Chamber of Commerce of Metropolitan St. Louis.Tune in to learn about their Adelante Awards on April 26th! Although the overall population of St. Louis is only expected to rise by 0.8 percent by 2040, the Hispanic population is due to increase by nearly 65 to 85 percent by 2030. In St. Louis alone there are anywhere from 3,000-4,000 Hispanic owned businesses, and nearly 8,000 in the state of Missouri—making it an important sector for economic growth in Missouri. So how do we as a city tap into that power? That’s where the Hispanic Chamber of Commerce comes in. Once a business joins the Chamber, they are thoroughly vetted and given assistance in any areas where they may be struggling, before they are given the Chamber’s seal of approval to take on big corporate contracts. 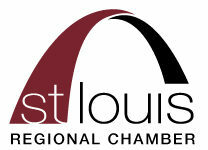 In addition to the business support and training, the Chamber hosts monthly socials around St. Louis where businesses and corporate partners can get together for networking and socializing. There are also seasonal programs that happen throughout the year for professional development for the Hispanic business community. 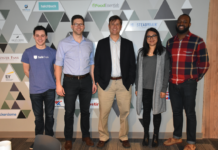 One of their initiatives is called the Foundation Program, which program is a skills based leadership training for Hispanic professionals in the St. Louis community. 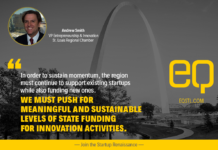 There are nine sessions throughout the year, where participants will learn for-profit and non-profit management skills, network development, and will also be encouraged to give back to STL through community involvement. The Chamber also hosts several signature events throughout the year, with the Adelante Awards right around the corner. 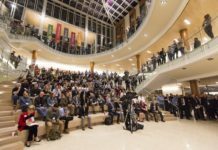 The Adelante Awards feature several excellent keynote speakers, plus an evening filled with networking, socializing, great food and dancing. To sign up for The Adelante Awards, or to learn more about the St. Louis Hispanic Chamber of Commerce go to https://www.hccstl.com/. 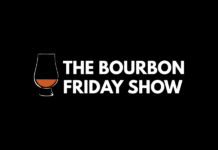 The Bourbon Friday Show livestreams every Friday at 4:30pm (CT) from Covo. The bottle this week was Elijah Craig. The history of this bottle hails back to around the time of Prohibition in America. During the 1920s, Prohibition was in full effect, but many distillery owners of the time, including Mary Dowling of Waterfill & Frazier distillery, wanted to keep their businesses from closing down. The solution? Move their operation to Mexico. So Dowling went down to Juarez, Mexico with Joseph L. Beam, first cousin of Jim Beam, where they made bourbon until Prohibition ended. After Prohibition ended, they moved production back to the US, and not much later, Joseph Beam started Heaven Hill distillery—the producer of Elijah Craig.